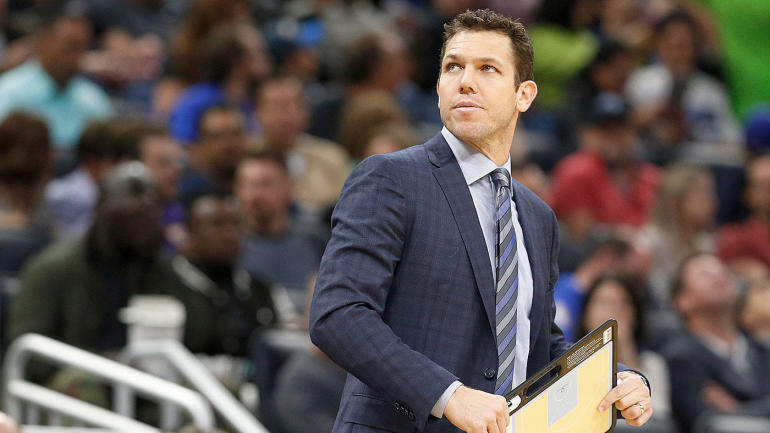 Former Los Angeles Lakers head coach Luke Walton wasn’t on the open market for very long, as the Sacramento Kings officially announced Walton as their new head on Monday morning. The terms of the deal weren’t disclosed. Walton parted ways with the Lakers on Friday after three seasons with the team. Walton’s split with the Lakers came just three days after Magic Johnson stepped down as the president of basketball operations of the organization. Johnson announced his resignation prior to the Lakers’ season finale against the Portland Trail Blazers. Walton put together a 98-148 record during his three seasons with the Lakers, who hired him after a very successful stint with the Golden State Warriors as an assistant coach. Walton even filled in for Steve Kerr during the 2015-16 season, guiding the Warriors to a 39-4 start before Kerr returned after dealing with health issues. The Kings had an opening on the bench as they fired head coach Dave Joerger last week after three seasons and a 98-148 overall record. After failing to make the playoffs, both the Kings and Lakers were clearly looking to shake things up, and though things didn’t necessarily go Walton’s way in L.A., he is clearly hoping to benefit from a fresh start in Sacramento.